Home Corporate Blog Features Car Buying on AutoDeal vs. Car Buying on Classifieds. Car Buying on AutoDeal vs. Car Buying on Classifieds. 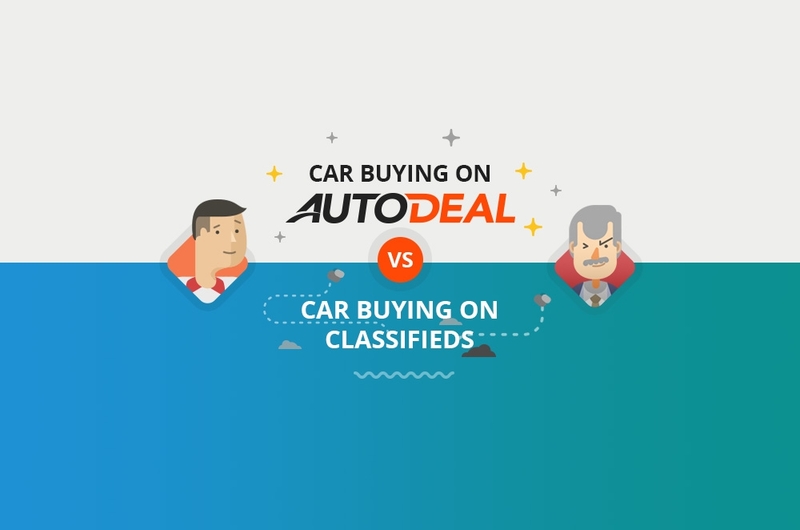 At AutoDeal, we often get asked how the car-buying experience we provide differs from that of a traditional online classifieds website. While some of the differences can quite easily be spotted when browsing, some of the beauty of our service is located behind the scenes. As a result, we whipped together this infographic as a means to demonstrate some of the advantages of finding your new car on AutoDeal. We work with the local automotive industry. Unlike broad classifieds websites, AutoDeal works in close proximity with vehicle manufacturers and dealerships across the Philippines. Due to our unique relationship with these brands, we're able to source accurate and reliable content from a variety of different industry specialists. 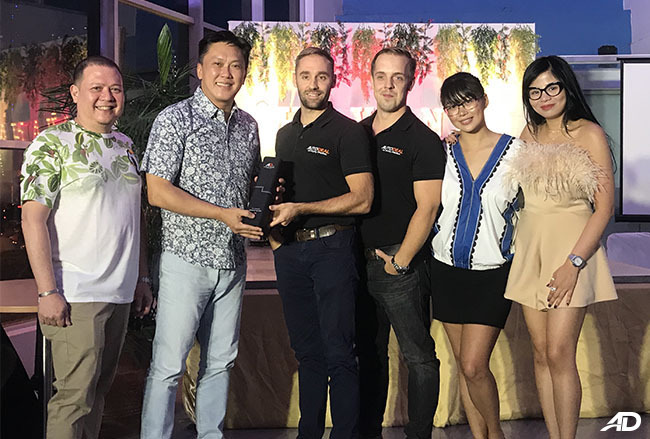 Since AutoDeal was grown on Philippine shores, we've worked closely with stakeholders in the car inudstry to create a system that not only provides value to prospective car-buyers, but also invests in improving the buying-cycle. 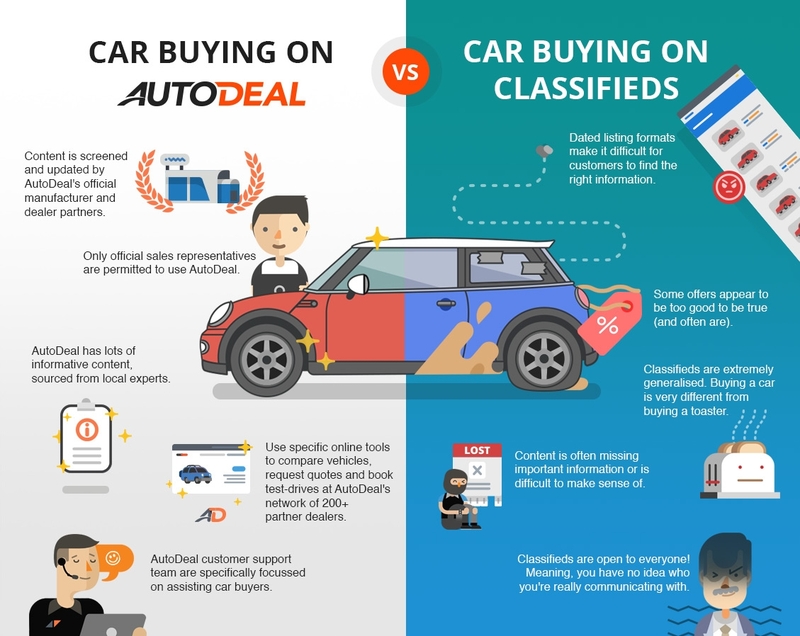 AutoDeal has invested a lot of time and energy into anticipating the behavior of online car-buyers; this is what lead us to build tools like our Comprehensive Car Guide, Dynamic Comparison Tool, Car Brand Directory and Promo Directory. 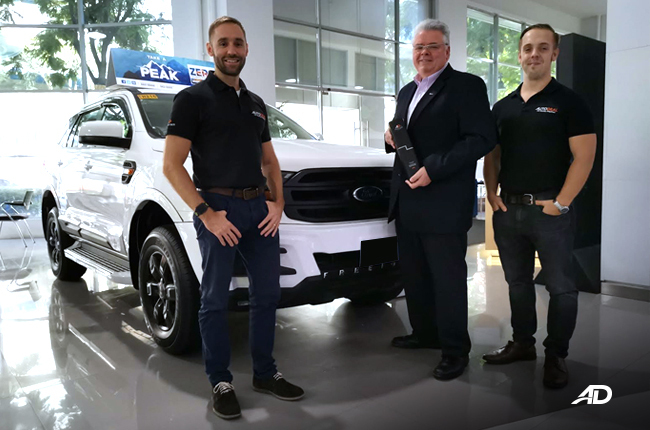 Thanks to the relationships we've built with our network of partner dealers, only screened sales representatives (those invited by our partner dealers) are able to respond to customer inquiries. This environment creates accountability and transparency when transacting online with a sales agent. This differs significantly from online classifieds that are open to the public 24/7 to post listings. AutoDeal understands the customer journey for car buyers that it can often take several months to find the right vehicle, secure appropriate financing, and finally get behind the wheel. This is resulted in the creation of our Car Buyer's Profiles. Any user can create an account and login for free. 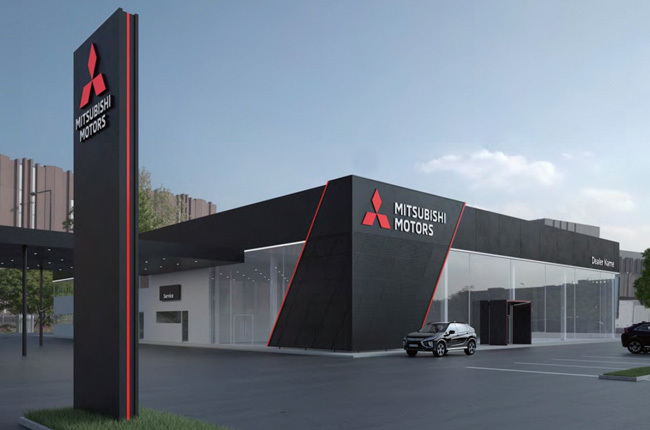 From here, you can store your conversations with sales agents, save information about vehicles you're interested in, and even subscribe for updates on brands you're interested in. AutoDeal will then update you with new promos, price changes, or vehicle releases based on your interests.